... Does crossdressing mean that Rokudo's power activates on males to? ...how you cast someone as a knife? And... You know what forget it, i liked the oni's island. Lol, its amusing how every just stopped and stared over someone dropping their drink. It was just so stupid! Even more stupid Rodukou just stood there looking like a dumbass. I would of had a greater impression if that trap would of quit the Oshima after being strangled like that, but it seems she did not. 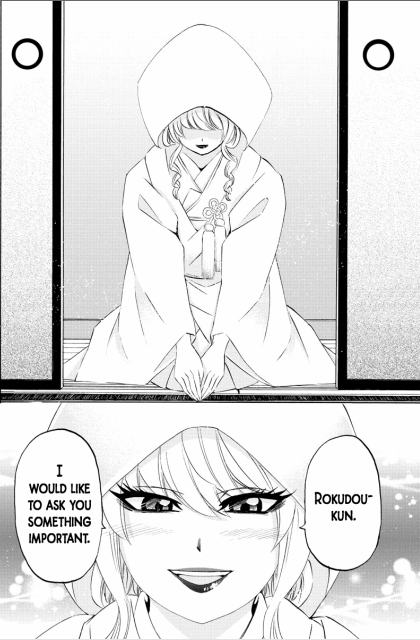 Is that all her "supposed" love for Rodukou amounts too. Last edited by Velsy; 2017-07-12 at 04:39. 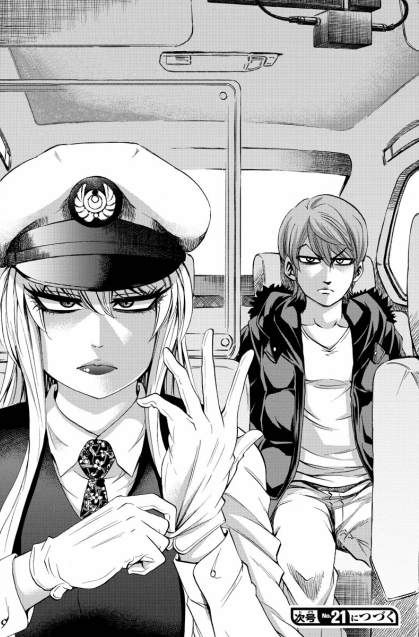 I felt bad that ranna didn't care about the girls, I hope rokudou choose the ryuugu and ranna learn what friendship is. Last chapter is why kinda Rodukou is such a beta. He knows these girls, he had lunch with them. yet he couldnt even stand up and say "Wait I know these girls, they arnt violent, let me contact them and find out whats going on". Nope.. Rodukou just did nothing, couldnt even vouch for them. Dumbass :/ Guess I should give him preps for not joining in on the hate bandwagon tho right ? Geez what an unexpected turn of events (monotone). Seriously, do we need to do this cliche? Pathetic, so pathetic. Roudoku couldn't even do the leap of faith. I guess if this arc ends up being lame or Ranna becomes disappointing , I should move on. So they just ride there bikes into the school auditorium O_o Right. Oh, joy, meta-NTR. The author must be having a swell time trolling everyone and doing the shittiest thing imaginable. I want to like this manga. I really do. I just feel frustrated that while there is a huge cast, a lot of potential cast members are left out to dry. 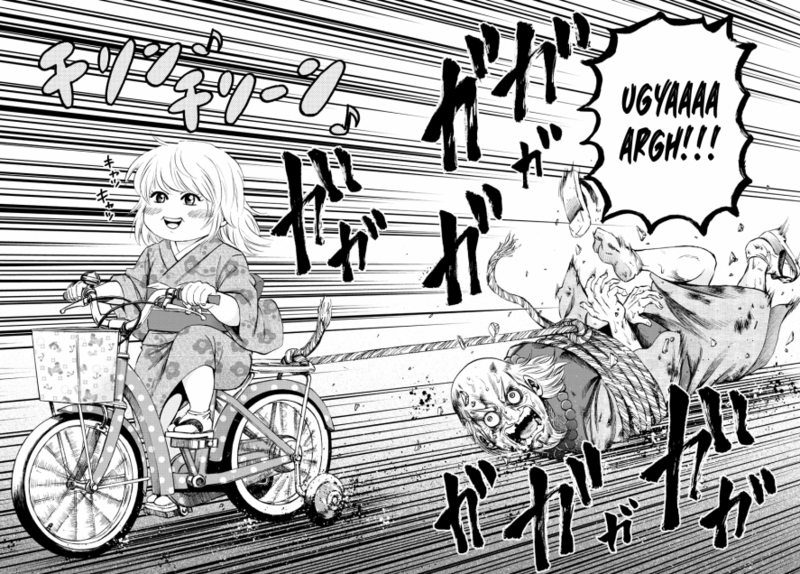 The "female Rokudou" for one is a really neat character, but sadly seems to get the short end of the stick. To be fair after catching up to the manga I'm a bit less frustrated but I feel like Tsuyukusa Mizue has/had potential to be a part of the gang and is unfortunately butted out. Hoping for a change! Glad I stopped reading it. Especially a few weeks ago when I considered if I should catch up after seeing it had a ton of new chapters. But I realized that was probably a bad idea. My vague memories reminded me of my frustated times reading it. It was not going to get any better or explain why Ranna was so OP like a demon. You can still reading manga if you are selfinserting so hard. There was no redistribution of haremettes. There was one new girl added recently, but thankfully series isn't focusing on such shallow things. Thats the last thing I would ever want to do.. Self insert as Rokudo. no bloody way. So I don't see why the redistrubution of haremettes (if happened) was a bad thing. Also new raw chapter is about Ranna's past, how her parent found her in a basket left on doorstep and how ridiculously looking child she was. R..Rokudou just avoid death flag?? is he the greatest MC of all time?